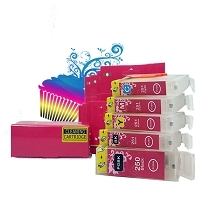 Canon edible inks 250/251XL. 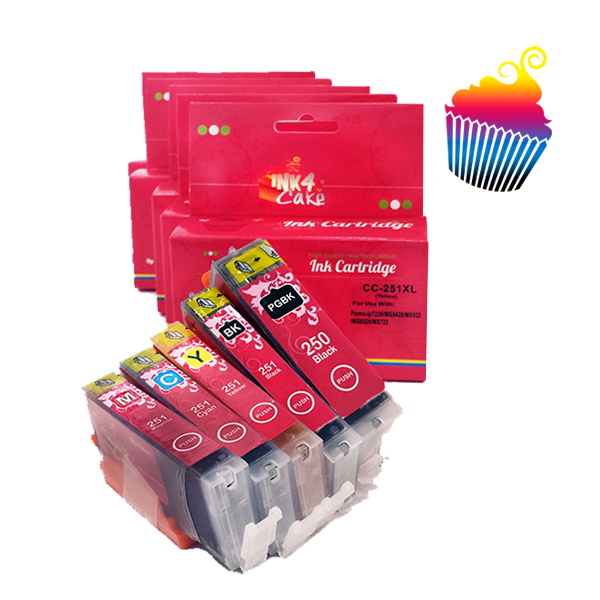 Set of 5 cartridges PGBK, BK, C, Y, M. Ideal to print on icing sheets and wafer paper. This is my only place I order my ink from. The best!! Don't know how I survived this long without the edible printer. 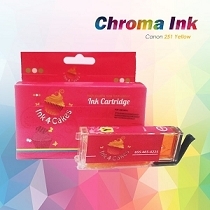 Ink cartridges are easy to replace, and Great coloring . Ink cartridges last longer than expected especially for the amount I am printing. These cartridges work well with my printer although I expected them to last longer. But the prints are great. I love the shipping speed. I received my packages within 2 days and shipping was free. These edible ink colors are really bright and vibrant! They print out beautifully. I had an issue very early on with a clog after receiving the Canon printer. I ended up cleaning out the clog myself and it has worked great ever since. Found out that the reason for the clog was that I was turning the printer off when not in use, which was most of the time. I was not supposed to do that. I assume that by keeping it on, the printer stays warmer and keeps the "juices flowing" in a matter of speaking. It should also be left on, especially so the printer can tell when the cartridges are getting low. When turning it off, it resets and you never know what the ink status is. I have had NO ISSUES since keeping it on and I don't even use it every week (little usage can cause a clog)....and that's why I think the ink stays warm, keeping clogs from happening. Love these cartridges! I absolutely LOVE these cartridges. They are clean to install and remove. No fuss....no mess!! So far, I have printed at least once a week and no clogging. High recommended!!! i am very pleased withe this ink. It is true color, and an i have not had any issues with clogging (i use the printer maintenance as well). I started seeing lines in the printing and replaced my yellow and magenta which appeared to be slightly low on the ink level screen, then the lines disappeared. It does seem that there is a good amount of ink left in the cartridge though (about half the reservoir shows liquid). Overall i am VERY pleased with both the printer (Canon) and the inks. Love my new Canon edible ink printer. Ink cartridges last a long while. Great price. Awesome customer service as always. 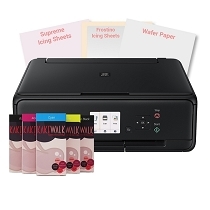 Q: I have a canon Pixma mx922printer will this editable ink work? Q: I am looking edible ink for my printer , mg6620 , could you please help me to choose the right one? 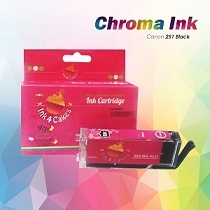 Q: Which set of cartridges of edoble ink should I get for a Canon MG6620? Q: Will these work in an Canon IX6820? A: yes they will ..
Q: I have a Canon Pixma- MG5422, which ink should I buy?...set search filters and I still can't figure it out. Thanks! Q: is this the right ink for my cannon MG5400? A: Yes it is ..
Q: WHATS THE difference between 250/251 cc7 and cc8? 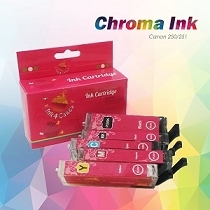 Q: Can I use the cc7 or cw8 cartridges in the same printer? A: Yes you can , they are interchangeable ..
Q: Why is my printer not printing out in color? 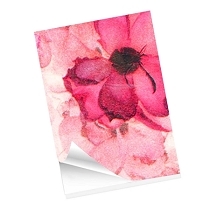 Q: Does the ink go bad or spoil after a certain period, 6 months? A year? Q: is this the correct ink for my cannon mg 6620? Q: What is the difference between CC7 and CW8? I have a Cannon MG5520 that I'm trying to find replacement edible print cartridges and sugar sheet for edible printing. 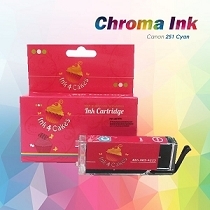 A: It's paper print size ( CW8 can print up to 11x17 ) however cartridges are interchangeable . Q: What is the difference in the Canon CC7 cartridges? I own a Canon Model MG 5520 printer and I am trying to decide which cartridge is best. Thank you. Q: Are the ink cartridges refillable? A: Every cartridge can be refilled . However in order to work you must re set them and find matching purified high quality edible inks .Edible Inks are not the same quality . Procedure is time consuming and certainly will destroy print head. 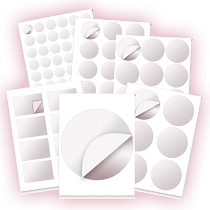 Remember , ink cost per image is around $ 0.30 to $ 0.50 for one sheet ,cheapest ingredient in your cake . We do not recommend refilling of cartridges and regret we can not give any support due improper refilling technique , non sterilized refilling equipment and safety hazard.